From whatever angle you hear it, the Studio 235C shines as a dynamic, accurate center channel loudspeaker. Decades of JBL acoustic research and development have let us develop a loudspeaker with twin 6.5” PolyPlas drivers able to dish out double the power, nuance, and lifelike realism of JBL sound to any given area of a listening space. The apex of 67 years of pioneering sound research at our JBL labs, the Studio 235C incorporates groundbreaking innovations like a High Definition Imaging (HDI) waveguide design and a 1” CMMD Lite high-frequency driver into its framework. Together, these advances let you experience your sound purely and cinematically, with all the precision imaging, high-frequency detail, natural balance, and full spectrum mastery of advanced home theater. The house rule at JBL is to make it look as good as it sounds. And with the Studio 235C, we’ve made no exception. With 21st century elegance that incorporates soft-rounded edges, black gloss paneling, and soft-touch paint, we’ve built something that seduces the eye as much as it commands the ear. Unmatched cinematic sound from any angle Home theater should never be anything but riveting. That goes for everyone listening to a movie, TV show, or console game – even if they’re seated way off to one side. That’s why we developed the JBL® Studio 235C dual 2.5-way center channel loudspeaker. Part of the new 10-piece JBL Studio 2 loudspeaker series, the Studio 235C was built to bring depth and cinematic nuance to everything you hear on screen. Tested relentlessly in the world’s most advanced sound research lab – our own – and pitted against competitors in real world comparative listening studies, the Studio 235C wins the crown for accuracy – and then some. Its dual 6.5” PolyPlas midrange drivers accentuate the power of every word and whisper. Its rear-firing Slipstream bass port heightens your senses and deepens your appreciation with tight, accurate bass. And that’s all for starters. Taking cues from our work developing some of the world’s most legendary recording studios, we’ve given the Studio 235C the same kind of kinetic intensity you’d hear at the movies. A 1” CMMD® Lite high-frequency driver ensures low-distortion. Meanwhile, a High Definition Imaging (HDI) waveguide design offers pinpoint sound imaging and firm natural balance – whatever angle you’re listening at. To top it all off, we’ve decked out our loudspeaker with seductive 21st century features like gloss black paneling, soft rounded edges, and your choice of either Black or Espresso woodgrain finish. For those able to see and hear the truth, we’re confident you’ll know it – full volume – when you see and hear the Studio 235C. Studio 235C is rated 4.7 out of 5 by 6. Rated 5 out of 5 by videoman from I fee like I am setting in my local movie theater. This center channel speaker is awesome! I feel like I am setting right in the middle of our local AMC theater. Outstanding! Rated 5 out of 5 by RJAD from Crystal clear sound The center speaker pairs perfectly with the rest of the Studio 2 series. It is remarkably crisp, but does not produce listener fatigue. I would recommend this over the 225C, especially if you are going to be using it as part of a 3.1 or a 5.1 setup. Rated 5 out of 5 by Johnnyf from Solid performance This completed my Studio surround sound system. This speaker is of great size and matches my 230s,220s and 260P. Very happy with it. Looks nice and seamlessly blends with other speakers. Matching speakers does make a difference. Find myself watching movies already seen with a new experience. Was great buy on sale and free 2 day shipping. Can this be a bluetooth hookup or is there a way to get this connected to your phone for parties? Studio 235C does not have a Bluetooth feature or capability to connect wirelessly as this will have to plug in using a speaker wire directly to the receiver. 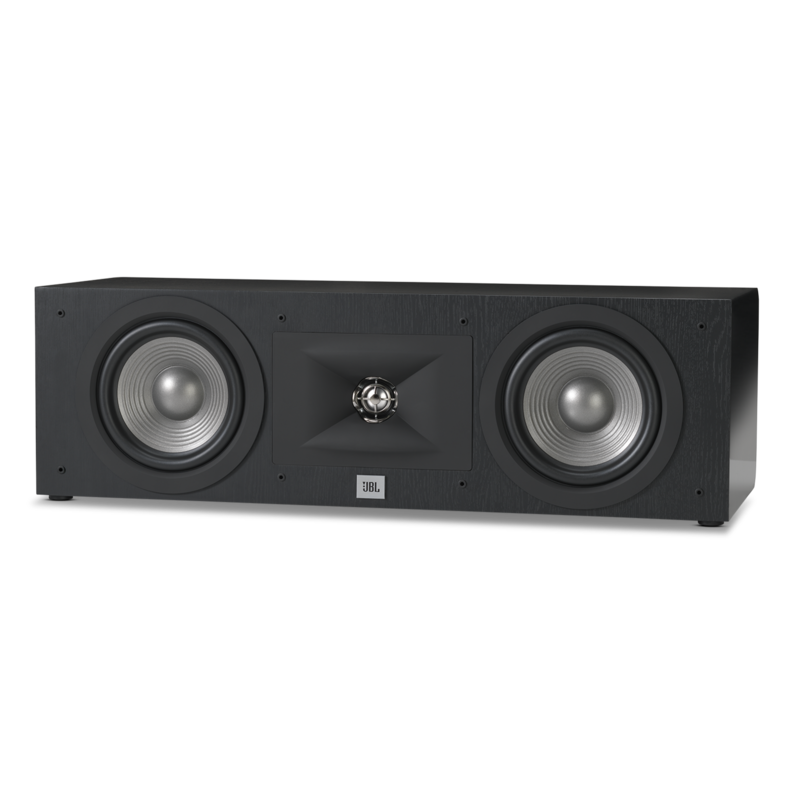 What jbl center speaker you will recommend for jbl studio 590 speakers? 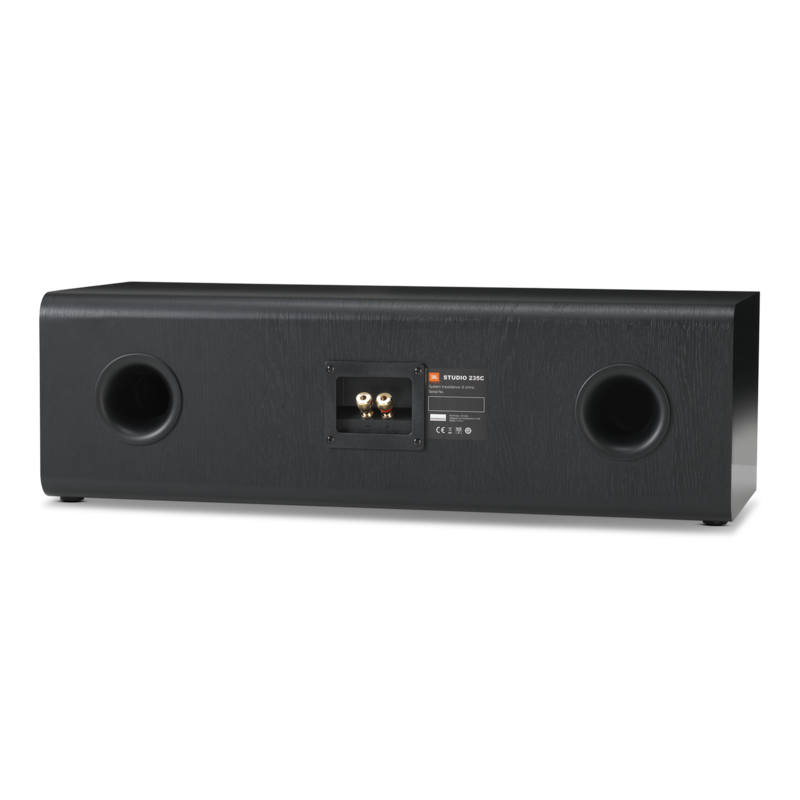 You can use the JBL STUDIO 235C together with the STUDIO 590 speakers, as long as the receiver you're going to connect it to supports 8 ohms as well. But it would be best to have the STUDIO 520C as the center speaker since it belongs to the same series as the STUDIO 590 and has the same 6 ohms rating for impedance. From the wall, You can give it a 4-5&quot; space for the wires to go through. this should be enough space for your hands if there's some fine adjustments needed with the wires. Yes, you can pair the STUDIO 235C with JBL SP8CII speakers. 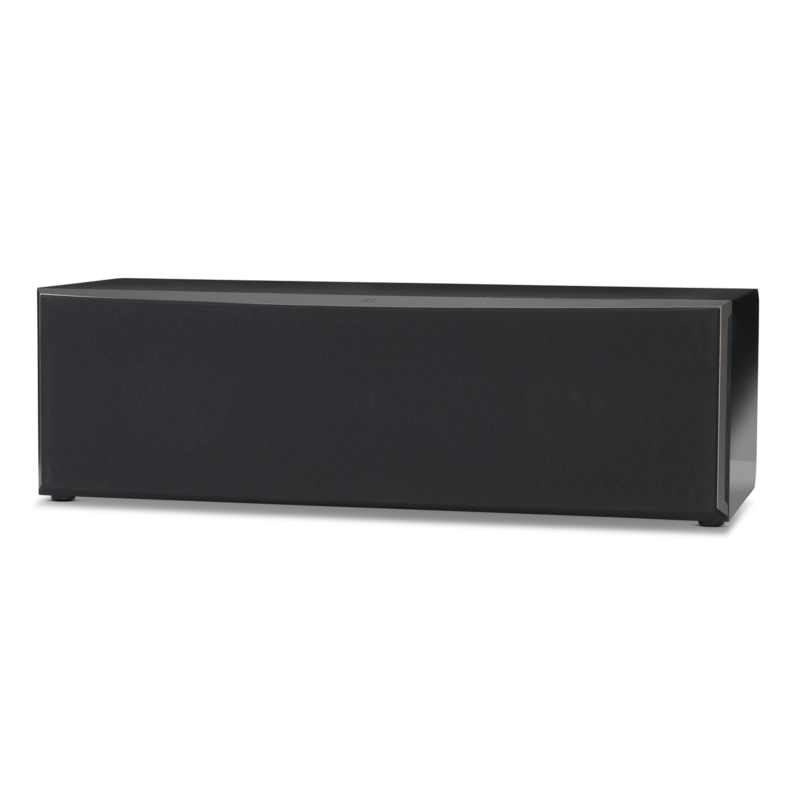 When matching speakers with center channel speakers, we consider several factors such as the tweeter material (e.g. Titanium, CMMD, etc. ), series and brand, respectively. Although the 235C tweeter uses CMMD, while the SP8CII uses titanium-laminate. Both speakers are the same brand and have a 1&quot; dome shaped tweeter, they will be match fine. My main fronts are JBL Northridge Series ND310ii. How well will the Studio 235C work as a center with these?? Can this center channel speaker be used on its side? Since the STUDIO 235C is on a MTM (mid-tweeter-mid) set-up, you can try to place it vertically or on its side, but please know that this speaker is designed to be installed horizontally, intended to be provide the best sound quality on such. Is the Studio 235C a good match to be paired with the Studio 2 8IW speakers for Media room/theater room set up? Is the studio 235c a good match for the L5 towers? While the 235C will work nicely with your L5, it will not be a good sonic match. If you are looking for the best sonic match, the STUDIO 520C is the way to go.